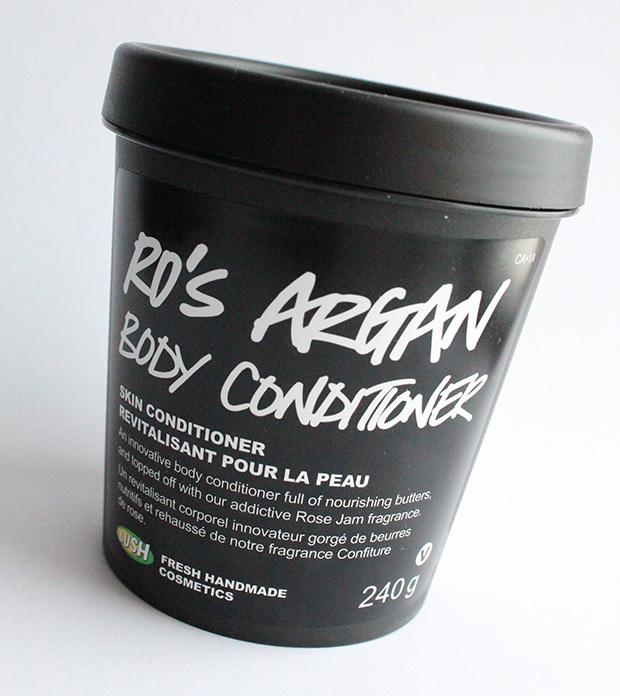 Review: Lush Ro’s Argan Body Conditioner – amandarobots. It’s a fairly unique product. It’s a rose and argan oil body conditioner, which I like to think of as an in-shower body lotion. You scrub and clean your skin as normal. Then, just before you step out of the shower, you slather some Ro’s Argan on and rinse it off. It leaves the skin moisturized and lightly scented of roses and vanilla. I absolutely adore the scent; even if you’re not into the rose scent, give this a sniff because it’s super light and really different. If I didn’t know it was rose-scented, I probably wouldn’t be able to guess. In terms of hydration, it really delivers. In the summer, I can use this alone as a body moisturizer. In the winter I do need a body butter on top of it; however, I’ve been finding that my body butter alone just hasn’t been keeping the dry flakies at bay, so I’m hoping that layering that and Ro’s Argan is going to help. Another nice feature of this is the packaging. It’s not fancy or frilly, but there is something special about it: Lush runs a recycling program where if you bring back 5 of their black pots, you get a free fresh face mask. Their face masks are some of the most affordable ones on the market, but they’re also really unique because they’re fresh and require refrigeration. In any case, it’s a nice way to help the planet. Despite its price, I really would recommend Ro’s Argan. 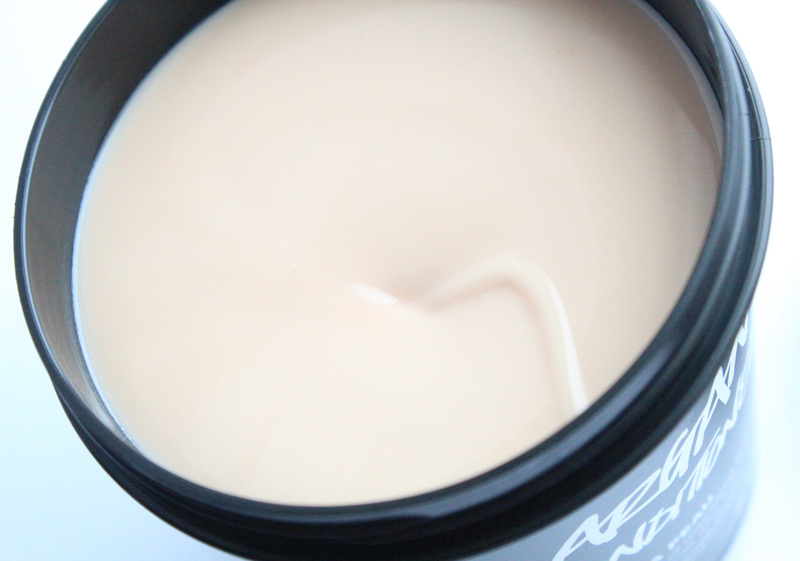 I’d have to say it’s one of my favourite Lush products (this and Snow Fairy…)! this sounds awesome! Seen this in Lush and didn’t really know the purpose so thanks for sharing your review!